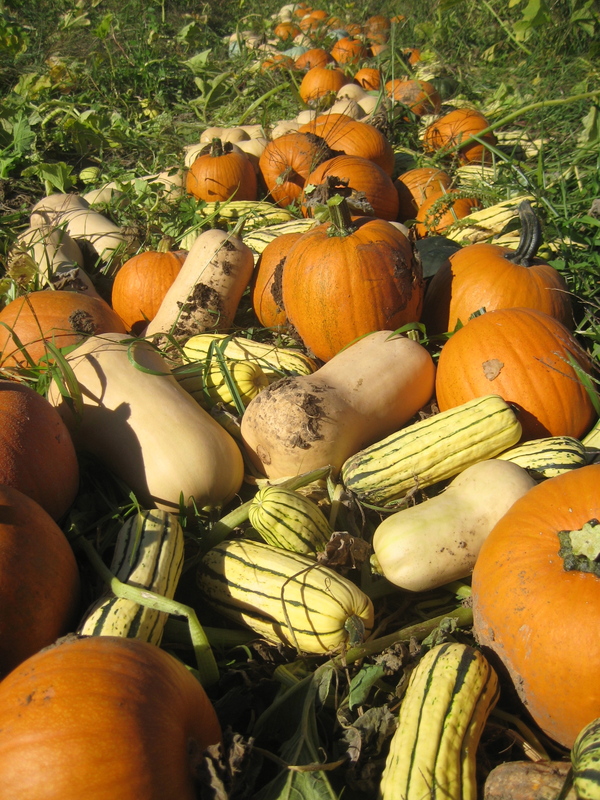 Summer’s stored bounty is ready for us to share with you this holiday season! Happy Holidays, friends! I’ve been blissfully quiet on the internet front the last few weeks. While we are excited to get going on everything related to 2016, we needed some time to simply relax after the 2015 season. We’ve filled that time with so many wonderful gatherings with friends and families, a choir concert, Rusty’s birthday, adventures outside, and farm work here and there too (I’ve posted a few fun photos at the very end of this post!). And, now, we want to take a pause from our break to say HELLO, WORLD! And offer you the opportunity to buy some really good organic food to eat at your upcoming holiday events (and/or just to stock your pantry while you wait for the 2016 CSA to begin on January 14!). You’ll find the availability list below — check it out and decide what you want to order. Then place your order by the end of Sunday, Dec 20, using the handy form supplied below the list! We’ll harvest your items for you and bring them to our downtown McMinnville storefront next Tuesday, December 22 for you to pick up between 2 and 4 pm. We accept cash or check payments. (Yes, this opportunity is open to anyone, not just CSA members. Our storefront is located off of the 2nd Street parking lot between Evans and Davis St in McMinnville). Any other questions? 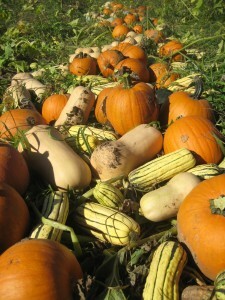 You can email us farm (at) oakhillorganics (dot) com. Pork ~ We’ll have a fresh batch of pork products ready for purchase, including artisan-made, no nitrates-added bacon and ham. Chops, bacon and ham are $12/lb and roasts, shanks and grind are $8/lb. Lamb ~ We still have a few cuts of lamb left in the freezer! We finished building our new greenhouse! The kids and I helped secure the poly (ok, I helped — the kids played their little dirty child hearts out all around us). 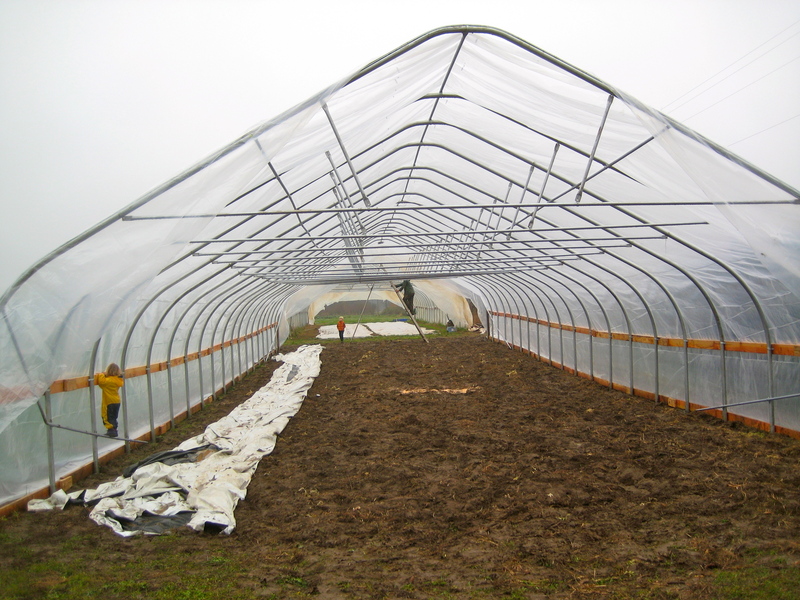 It’s always magical to get that plastic up and suddenly have a large dry space in which to play (and plant crops too). 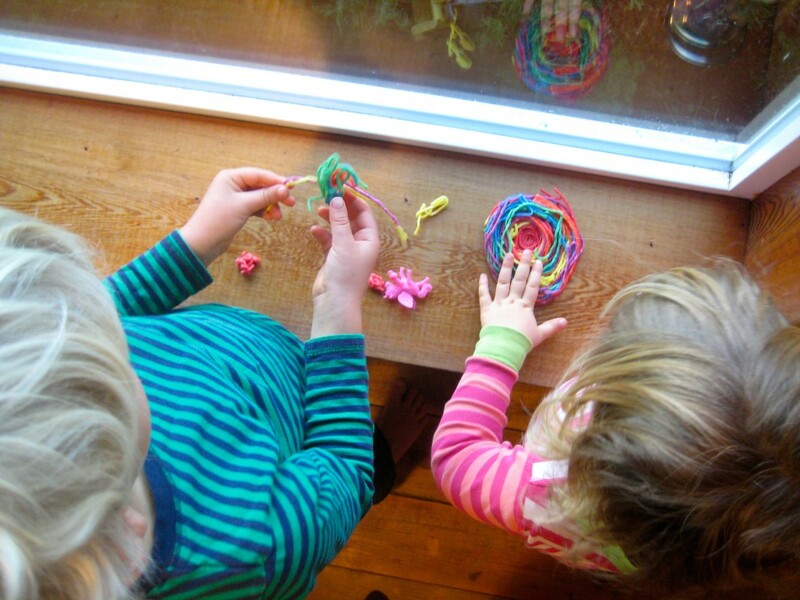 While we have certainly enjoyed outdoor adventures in recent weeks, indoor play and creativity have made up a bigger chunk of our time than at any other point in the year. We’ve made a lot of fun things. 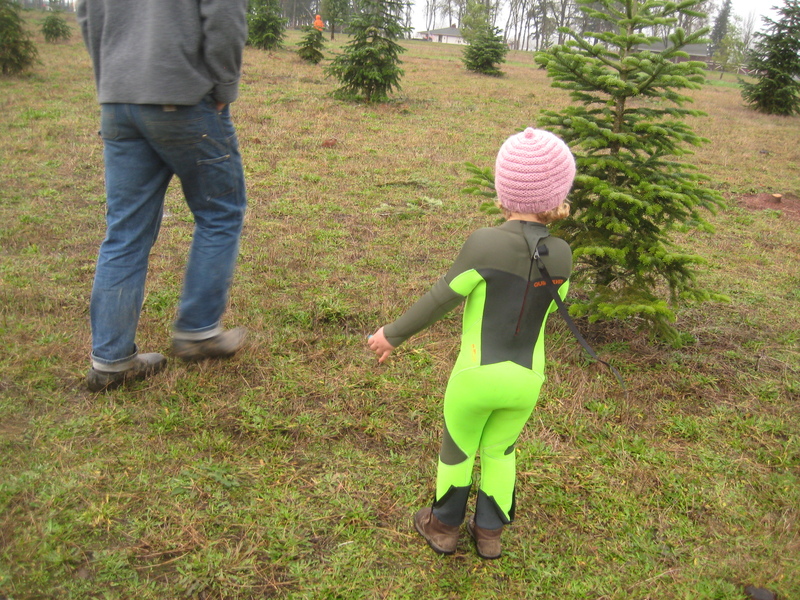 I am pretty sure Dottie is possibly the only three year-old to have ever worn a wetsuit on a Christmas tree cutting outing in Oregon. Pretty sure, anyway. The odds seem good. And speaking of flooding, lots of folks have checked in with us amidst all the extremely wet weather we’ve had here in Oregon recently. Folks were concerned about the island and flooding. And, yes, we are now seeing the water rise, but our floods always come after the wet weather. 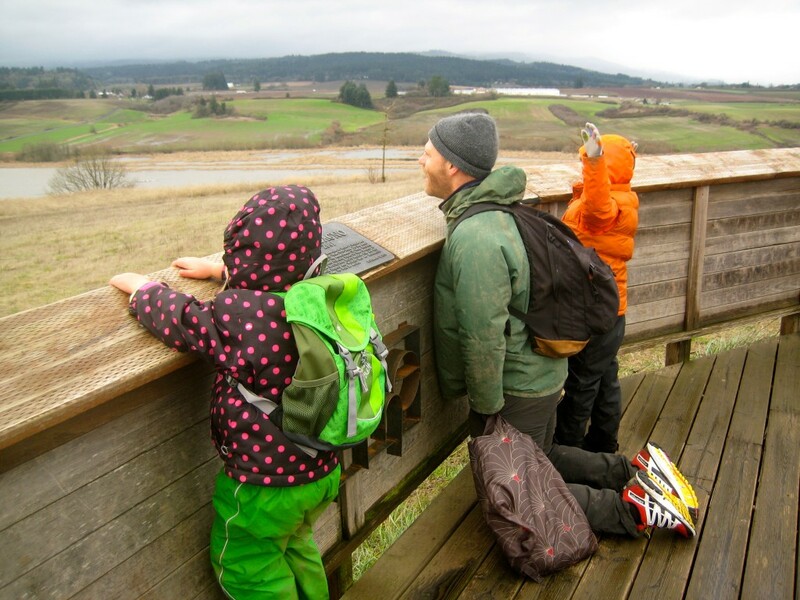 The island soil itself is so well drained that immediate drainage isn’t a concern – we get wet when the Willamette rises because of all the water entering the watershed. Right now we’re coming down from a recent high water event, but it was just barely at “Action Stage.” In a few days, the river is predicted to go back up, this time a bit above “Action Stage,” but not much. So far! Of course, once the river is high, it becomes easier for it to go higher. So, we make plans accordingly! But, meanwhile, so many of our friends in other areas have been more directly affected by the recent rains! 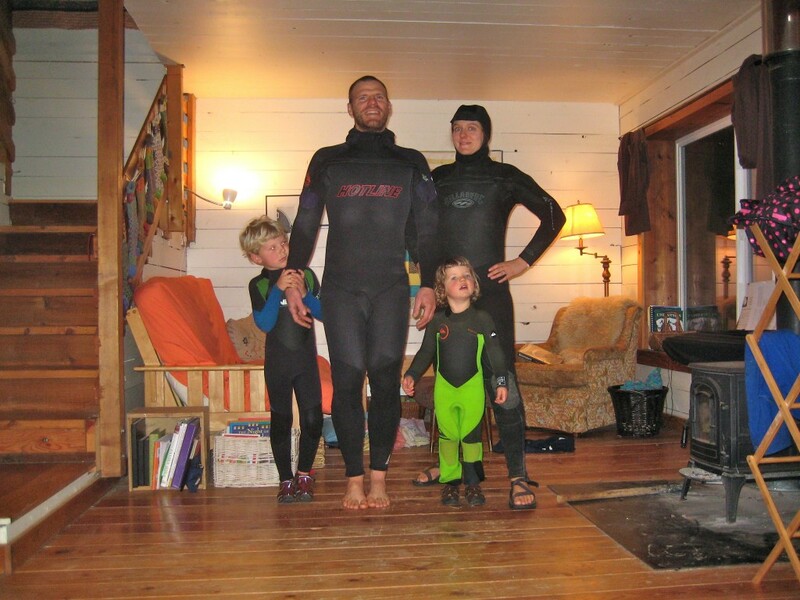 Our thoughts are with everyone who had flooding basements and worse over this wet December! Gratitude and peace to you this December!